NBC's New Hit Series Heroes Opens To Unprecedented Audience - Are Each of the Characters Simply Occult Walk-Ins Designed To Save Mankind During The Incredibly Difficult Time of the "Planetary Shift" And of the Appearance of The Christ? Title: NBC's New Hit Series "Heroes" Opens To Unprecedented Audience -- Are Each of the Characters Simply Occult "Walk-Ins" Designed To Save Mankind During The Incredibly Difficult Time of The "Planetary Shift" And of The Appearance of "The Christ"? 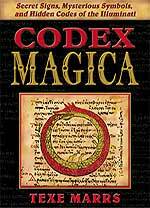 Subtitle: The purpose of an occult "Walk-In" is to help save mankind. Each of these ordinary individuals in this TV series suddenly possesses incredible occult power, which they are to use to save humankind on this earth. Is this TV series conditioning people to accept the kind of demon possession known in the New Age as a "Walk-In"? Are the peoples of the world being conditioned to accept the particular kind of demonic possession known as "Walk-Ins"? The new NBC TV series, "Heroes" seems to be depicting ordinary people who suddenly realize that they possess incredible physical, mental, and occult powers. As I watched the first show, I suddenly realized that each of these people were not exhibiting ordinary, human powers and abilities, but supernatural, occult powers! Furthermore, each of these people felt the burning desire to help save mankind, which is the major component of a "Walk-In". Since these characters are likely "Walk-Ins", the very fact that NBC is creating a hit TV series depicting these very special beings is just another "sign of the times", as these specially-endowed humans are to help "The Christ" cleanse the earth and make the changes needed so he can lead the world into the golden age known as the "1000 Years of Peace". Let us begin by examining the basic premise of "Heroes" and then examining "Walk-Ins". "Heroes is an American drama television series created by Tim Kring. Comic book writer Jeph Loeb (Superman/Batman) has signed on as a writer/co-executive producer. It debuted on the NBC network in the United States on September 25, 2006. The series premiere was the most-watched program that night among adults 18-49, attracting 14.3 million viewers overall and receiving the highest rating for any NBC drama premiere in five years. Repeat episodes began airing on the Sci Fi Channel on September 29, 2006. The show also airs in Canada on the Global Television Network." "The series tells the story of people who "thought they were like everyone else ... until they woke with incredible abilities". A Japanese salaryman discovers that he can manipulate time and space, a struggling New York artist can paint the future while using heroin, a high school cheerleader discovers she can recover from any injury, a single mom realizes she has "a powerful alter ego", and a police officer who can read minds. The premise is that these people have a role in saving humankind." "According to the official NBC website, not only do the characters discover what having superpowers means to them, but also uncover a larger picture concerning the origin of their superpowers. The characters eventually become involved in each other's lives as they attempt to evade the series antagonist, who wishes to harness their 'super DNA' for his own ends." "LOS ANGELES (Hollywood Reporter) - Part sci-fi, part mystery and wholly unique, 'Heroes' is one of TV's most imaginative creations and might, with luck, become this year's "Lost." Its mix of danger, humor, drama, romance and science creates a unique and surprising flavor of programming. At the same time, it fills scene after scene with characters that wouldn't or couldn't easily fit into any other show. Creator-writer Tim Kring is anything but coy about his ambition. An advisory at the start of the pilot tells viewers that "Heroes" is about 'a seemingly random group of individuals' who 'will not only save the world but change it forever'. The opener mostly introduces us to people in the midst of discovering their superpowers (or 'special abilities', as Kring puts it); the following episode spells out the nature of a huge disaster they soon must prevent." This is the essence of "Walk-Ins"! Ordinary people suddenly discover they are unique and that they possess unique powers which they are to exercise at the time just prior to the huge "Planetary Shift", which is defined as that moment "The Christ" arrives on the world scene to begin his "7-year cleansing of the earth". We shall examine the capabilities of "Walk-Ins" toward the end of this article, but for now, please understand that the term was created, and is used, within the context of the coming occult Christ (Biblical Antichrist). Therefore, if these individuals portrayed as "Heroes" in this TV series are really "Walk-Ins", we should expect them to display occult powers. Indeed, they do, as this Wikipedia Encyclopedia article clearly demonstrates ("Heroes", Wikipedia). As you read these characters, notice the extreme Satanism of their powers. Wikipedia hotlinks the specific power, which we also hotlink within this article. Please take the time to read each of these occult powers, so you can realize the extent to which Satanism is being boldly shown to the masses. Since these "superpowers" are most definitely within the realm of practicing Satanism, we must be instantly alerted to the reality that genuine Christians must be on their own guard, as well beginning to warn undiscerning people that this is a most sophisticated conditioning device, getting people used to these powers and preparing people for the coming Antichrist. In fact, these people are likely Walk-Ins. Let us now examine the essence of a Walk-In so you can see how closely this series appears to parallel this New Age teaching. Conditioning, conditioning, conditioning. In the words of one New Age author, writing in the mid-1970's, "The Great One cannot appear until and unless a substantial proportion of the population has been first conditioned to accept him." The United States of America is filled with the Satanic values of the New World Order. This filth is literally everywhere. This once great Jesus Christ-honoring nation has literally been filled with this old occultic value system. In Ephesians 3:17-20, the Apostle Paul yearns that believers might be totally filled with the love and richness of Jesus Christ. Paul was literally praying that the believer would become completely filled with the Holy Spirit. All of us have prayed this type of prayer for our own lives, as well we should. However, Satan has a counterfeit filling for his believers, and this is the topic of discussion for our program today. Christian author, Constance Cumbey, strongly emphasizes in her book, "The Hidden Dangers of the Rainbow", that the one common binding ingredient among all these various groups is their common "mystical experiences". This term refer to the religious teachings common to all these various groups. Whatever name the group is using, they uniformly teach that man can perfect himself through the practice of ancient religious techniques, of meditation and through following the guidance of their own "Guiding Spirits". Meditation is the technique whereby a person empties his mind of all conscious thought, while chanting a series of repetitive words or phrases as many times as possible. Once a person does this repeatedly, he/she will begin to experience the phenomenon whereby the mind begins to lose its normal contact with the body. This phenomena is called an "Out-of-Body" experience, and is very common in occultic circles. Once the mind loses its normal connection with the body the person then is ready to meet his/her "Guiding Spirit". Christian author, Johanna Michaelson, captures the Satanic essence of meditation and Guiding Spirits in her book, "The Beautiful Side Of Evil". Guiding Spirits identify themselves by name, including Jesus Christ, the Virgin Mary, or one of the Apostles. The person who is involved is truly deceived into thinking they have just discovered THE one, true way to actually come into contact with God. In reality, they have just come into contact with a Satanic demon, who has transformed himself into a being appearing very kind, gentle, and wise. The stage is set for these demonic beings to manipulate and mislead their human victims. These people have become demonically possessed. Millions upon millions of Americans have participated in this type of activity, resulting in demonic possession in degrees ranging from mild to severe. At this point, we need to reach an understanding as to the nature of Satanic demon possession. Most of us associate demonic possession with the stories of the New Testament where demon-possessed people were violent, were afflicted with mental and physical diseases, where it was very obvious to everyone that the person was so afflicted. All these manifestations are, indeed, truly associated with demonic possession; however, a demonically-possessed person does not necessarily display these characteristics in all cases. Many people have been demonically possessed for their entire lives without the common people around them having the least knowledge of it. These people might seem very normal in every respect. The author of the "Dictionary of the Bible" states that the demon which is possessing the individual begins the process whereby he effects "the complete or incomplete loss of the sufferer's reason or power of will; his action, his words, and almost his thoughts are mastered by the evil spirit, till his personality seems to be destroyed...or overborne as to produce the consciousness of a twofold will within him, like that sometimes felt in a dream." This sentence captures the essence of what New Age doctrine calls "raising the level of one's consciousness". Slowly, gradually, and seemingly benevolently, the demonic spirit takes complete control over the entire mind and personality of the possessed person. As long as it fulfills the plans of the demonic spirit, the victim will appear as normal and happy on the outside as you can imagine. In today's America, millions of people have opened themselves up to demonic possession in just this way. As you examine the writings of the New Age Movement, you discover a horrible truth -- the leaders of the New World Order are demon possessed, and their Guiding Spirits have revealed to them that the New World Order cannot be established until millions of people are similarly possessed. A good example of this possession is found in Alice Bailey's monumentally-important book, "The Externalisation of the Hierarchy", in which it is revealed that a demon by the name of "Master D.K." channeled this book through her. Many of the authors and leaders of the New Age Movement have admitted that they are in daily contact with their Guiding Spirits -- and nobody blinks an eye. The initiated accept this condition as benevolent and coveted. This possession is nothing more than Satan's counterfeit in-filling, mimicking God's Holy Spirit possessing a born-again believer. Make no mistake - demon possession is rampant in America today. What we will show you today is that the Plan for a New World Order has developed to the point where this demonic possession has reached an unprecdented level. We will share this new level with you today, quoting primarily from Ruth Montgomery in her book, "Herald Of The New Age". Montgomery writes entirely by "automatic writing", which is defined as "writing produced when a person goes into an altered state and a spirit entity takes over a person's arm and hand to communicate". (The New Age Dictionary). In "Heroes", some of the people appeared to be just as possessed and their normal faculties taken over as we see in the realm of Satanism. Of course, this spirit entity is assumed to be benevolent, and they certainly present themselves as such. Montgomery's spirit entity just so happens to be a committee, identified repeatedly in her books as "Lily, Art, and the Group". Montgomery identifies them as "discarnate beings" who telepathically communicate to her about the coming New Age of peace and safety. While these Guides have communicated with her on many issues, we want to discuss one of their most interesting and relevant subjects, because the time of its impact is now upon us; once you understand what is occurring, you will make more sense out of current events. The subject is "Walk-Ins". This unfamiliar term has no relevance to those of us whose background is Biblical, so we need to thoroughly define it. All believers in the New Age believe in reincarnation, defined as the belief that "we do not really die"; rather, souls are believed leave the dead bodies and go into a supernatural state whereby they wait for the next incarnation cycle. Some occultists believe that each soul can choose the time of their next incarnation into a human body at birth, while others believe there is a set cycle by which reincarnation occurs. For example, "according to the Pythagorean, after a period of 216 years...all things are regenerated...this was the periodic time of.. the rebirth of man after each death." ("The Occult Power Of Numbers", p. 66). Thus, according to this belief, all things--people, nations, and nature, are regenerated in precisely 216 years; the number 216 is a sacred number because it is 6x6x6, the most sacred number. But, back to the subject of "Walk-Ins". Walk-ons are defined as "souls who have earned the right, through many lifetimes of spiritual growth, to return directly to the earth plane as adults" (Montgomery, "Herald of a New Age", page 202). In other words, these souls in the reincarnation holding cycle want to return to earth in an adult body, rather than incarnating in the body of a baby. Montgomery's Guides reveal that these souls are "not yet perfected souls, but are high-minded beings intent on aiding their fellow humans, and tens of thousands of them are already here..." (Ibid). The Walk-in story continues. Even though these "high-minded" discarnate souls desperately want to incarnate into an adult body rather than a baby, they have the problem of the spirit which is already inhabiting the adult body. That spirit must voluntarily leave the adult body so that the new, high-minded spirit can enter. Montgomery's Guides explain that this is no problem; the "soul transfer", as it is called, usually occurs when the adult body is weak, or sick, or when the spirit inhabiting that body is thoroughly discouraged. At this moment, the Guides say, the old spirit "walks out" and the new spirit "walks in". Very suddenly, the adult body receives a new burst of spiritual energy, a new sense of revitalization. This is a "Walk-in". At this early moment in this series, we do not see a "soul transfer" of any of these characters; however, that may come later as the series unfolds. What is the purpose of these "Walk-ins"? As we tell you, remember that Montgomery's book, "Herald Of A New Age", was written in 1986. Montgomery's Guides told her that "they are coming in increasing numbers during the next decade to prepare us" for the coming New World Order. How would these Walk-ins be able to help? They would infiltrate the population of the world, from the mass of the people, to its leaders, to ensure that the right decisions were being made during the time of transition to the New World Order. They realize that the leaders of the people must make "correct" decisions, but leaders can do nothing if the mass of the population is deadest against them. Therefore, the Plan calls for a great many Walk-ins among the population, to aid the leadership in molding the opinions of the people. Again, we must pause to explain the transition part of the Plan to the New World Order. 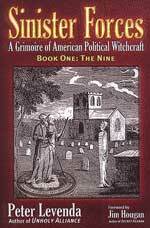 The Guiding Spirits have taught that the "Great One will need 7 years of transition into the New World Order ("The Armageddon Script", by Peter Lemesurier, page 235). Isn't it extremely interesting that they have chosen the number 7, the precise number of years of the Biblical Tribulation? This transition period will be a time of the greatest trouble the world has ever seen. In fact, these Guides repeatedly use the word "Tribulation" to describe these 7 transition years. During this time, the earth will be purified and cleansed of all the old, evil influences so that the Golden Age of peace, safety, and prosperity can begin. As Montgomery's Guides describe this cleansing action of the earth, it sounds very much like the events described in the book of Revelation. Millions of people will die from earthquakes, tidal floods, famine, and world war. "And the rest of humanity, who were not killed by these plagues, even then did not repent out of the worship of the works of their own hands, so as to cease paying homage to the demons and idols of gold and silver and bronze and stone and wood...And they did not repent out of their murders or their practice of magic sorceries or their sexual vice or their thefts." I have always been staggered by this prophecy, because I have always felt that the people of the world would turn to God in repentance, understanding instinctively that only God could be causing all this natural disaster to occur. Not so. The demonic, lying spirit guides of the New Age leadership will have prepared their deluded followers for just these types of natural disasters. Further, the guides have emphasized that the only preparation is an inner, spiritual preparation. People can only prepare by immersing themselves into their occultic practices. When God carries out His tremendous physical judgment upon the world, the people will have been prepared for it. They will simply say, "The Guiding Spirits were right about the Planetary Shift; these natural disasters are needed to move the world into the New World Order". Therefore, because they will not recognize the hand of God in this physical judgment, they will not only not repent of their sorceries, they will redouble their efforts in it so that they will be able to endure it. Satan is not called the "Great Deceiver" for nothing. This will be one of his best and most complete deceptions. And he will carry hundreds of millions of people into eternal Hell. These Guiding Spirits further teach that this earth is a living being whom they call Mother Gaia. Mother Gaia will be so intent upon cleansing herself of all "evil" influences that she will dramatically change her angle of rotation. The Guides have described this as "the planetary shift". This planetary shift will be the primary cause of all the natural disasters befalling the earth during this transition phase leading into the New World Order. This time will be so difficult, and will require the political leaders to make such difficult life-and-death decisions that the Hierarchy has decided to infiltrate these Walk-ins. At the time of Montgomery's book, there were "tens of thousands" of these Walk-ins; however, as the earth approaches the time of her planetary shift, this number is to grow to millions upon millions. This Walk-in infiltration was planned to occur in every level of society. Walk-ins were to be regular husbands and wives, doctors, lawyers, scientists, businessmen, political leaders, and clergy. Montgomery claimed she had met Walk-ins who were from every one of these professions, including a "metaphysical minister" and a "Baptist preacher from the Deep South". But, the revelations become even more interesting. 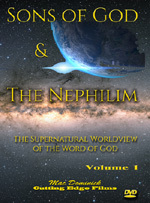 These supernatural Guiding Spirits revealed information to Ruth Montgomery which paralleled Biblical prophecy to a startling degree, and we quote her: "The Guides foresaw famine and war before the shift...Near the time of the shift, which the Guides claim is inevitable...the Antichrist will rise to power..." This is just one of many instances in which New Age writers foretell the appearance of the Anti-Christ. But, why should we be surprised, when the Apostle John wrote in 1 John 2:18, "...it is the last hour, the end of this age. And as you have heard that Antichrist he who will oppose Christ in the guise of Christ is coming...". This definition of Anti-Christ as one who will oppose Christ by coming in the guise of Christ is precisely what these Guiding Spirits are foretelling. When Maitreya the Christ appears, he will claim to have the "Christ-consciousness spirit" which came upon Buddha, Jesus, Mohammed, and other christs throughout history. However, Maitreya will claim that the "Christ-consciousness" spirit inhabiting him is several degrees higher than those previous spirits. "I saw three loathsome spirits like frogs, leaping from the mouth of the dragon and from the mouth of the beast, and from the mouth of the false prophet. For really they are the spirits of demons that perform signs, wonders, and miracles. And they go forth to the rulers and leaders all over the world, to gather them together for war on the great day of God the Almighty." As I watched "Heroes", my spirit was suddenly seized with a realization as to how very close to the appearance of Antichrist the world must be right now, for this type of conditioning to now be shown to the world. We experienced a similar realization when we watched the ABC documentary on the Da Vinci Code, the lie without which Antichrist cannot appear; since Brown's book, this documentary, and later the movie, exposed a most deeply protected Secret Society teaching, we could only feel that the very global appearance of this lie was another powerful "Sign of the Times" warning all who cared to listen that the appearance of Antichrist was close.